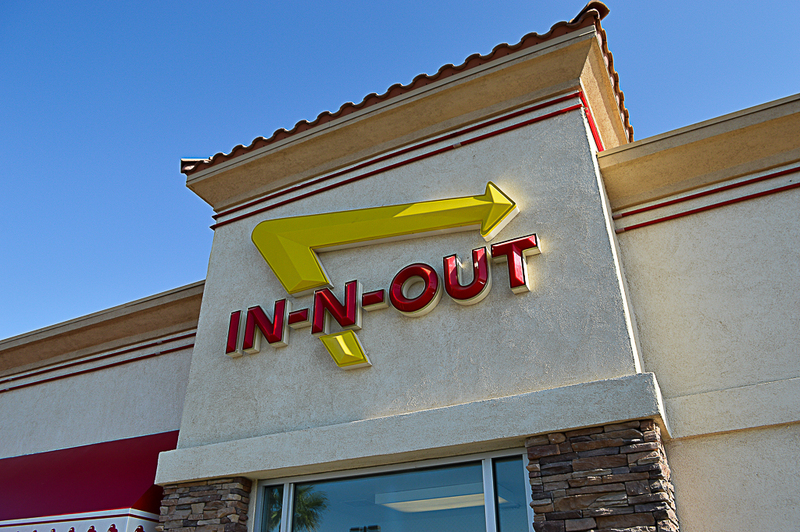 The In-N-Out Burger in El Centro is located right off Interstate 8 close to the border. 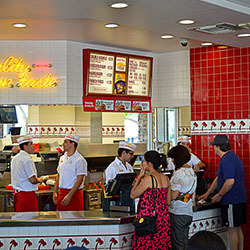 I love to get my In-N-Out fix here whenever I travel to Arizona. 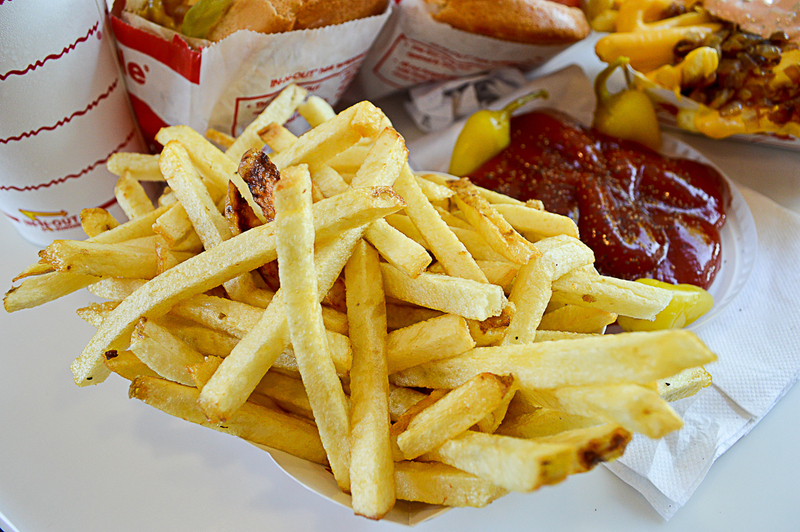 This California staple never disappoints. 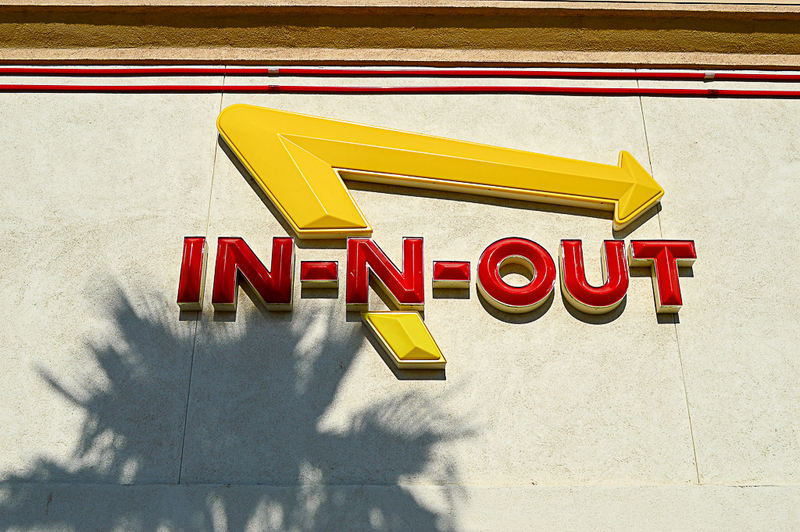 In-N-Out has been serving up the highest quality burgers, fries and shakes since 1948. 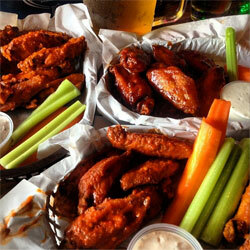 The one thing you can always depend on with the food here is consistency. 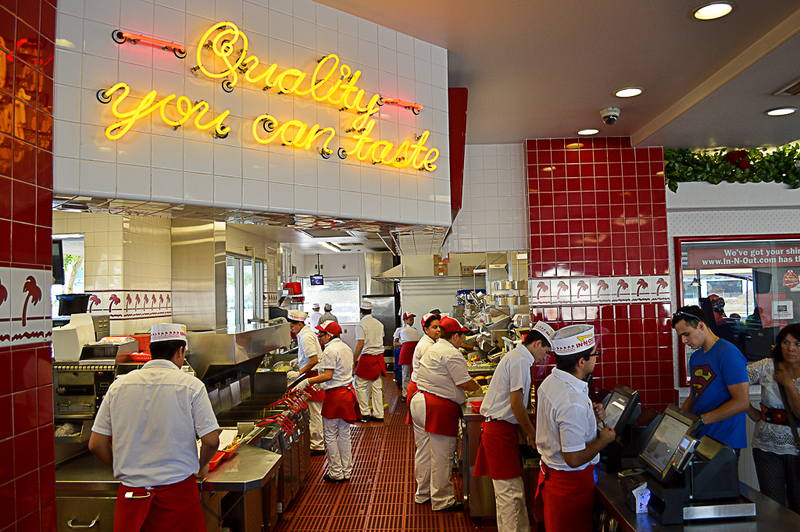 My burger is always made with the freshest ingredients. Ha! I like that! 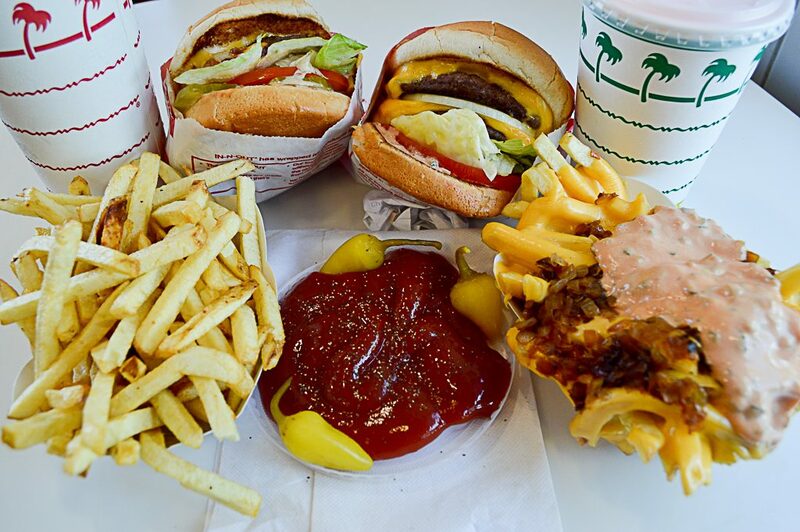 If you have never experienced In-N-Out, then all you need to know is they keep it simple, fresh and GOOD! 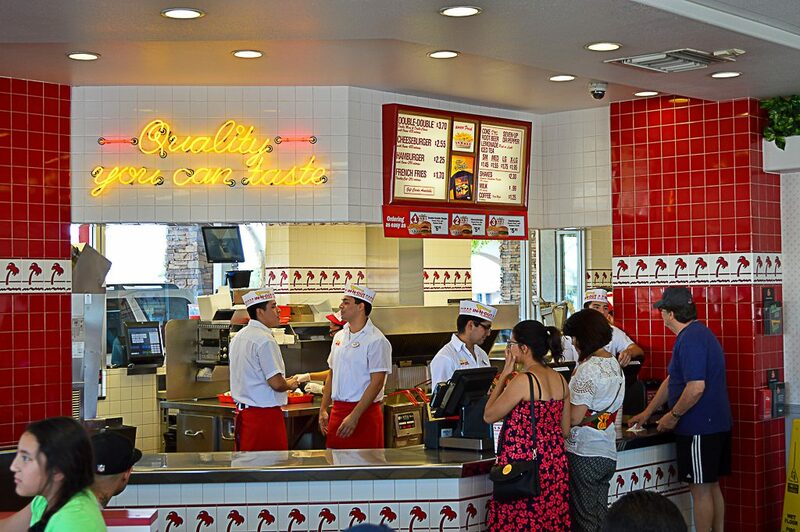 I get the same thing every time I visit. 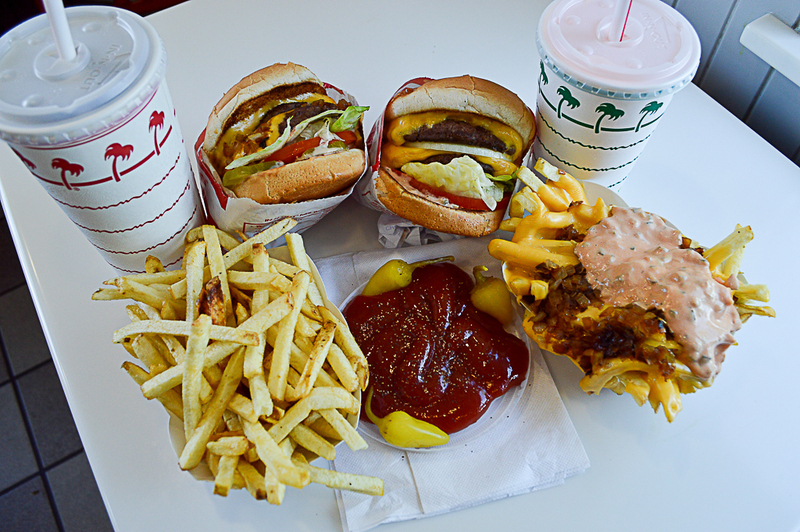 I always order the Double-Double Cheeseburger and Fries – both “Animal-Style”. 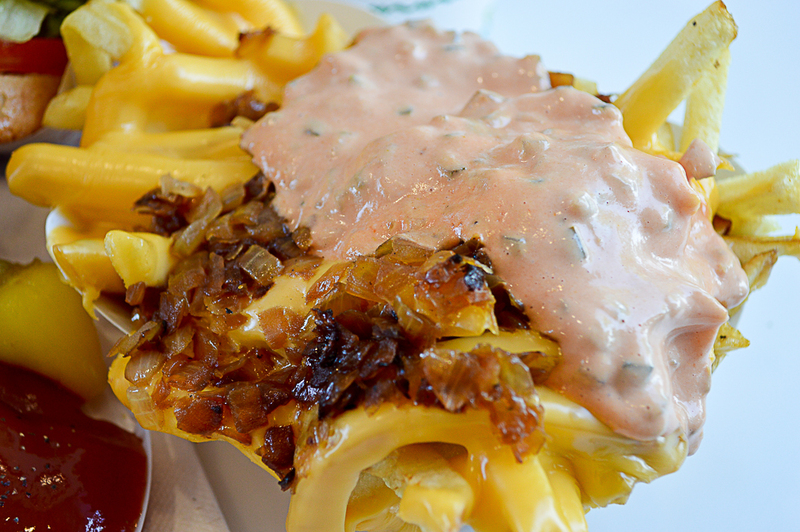 Animal-Style is a not-so-secret menu option which allows for a hefty portion of cheese, their secret spread and grilled onions piled on top! 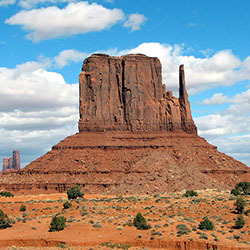 Check out the photography and let me know what you think! 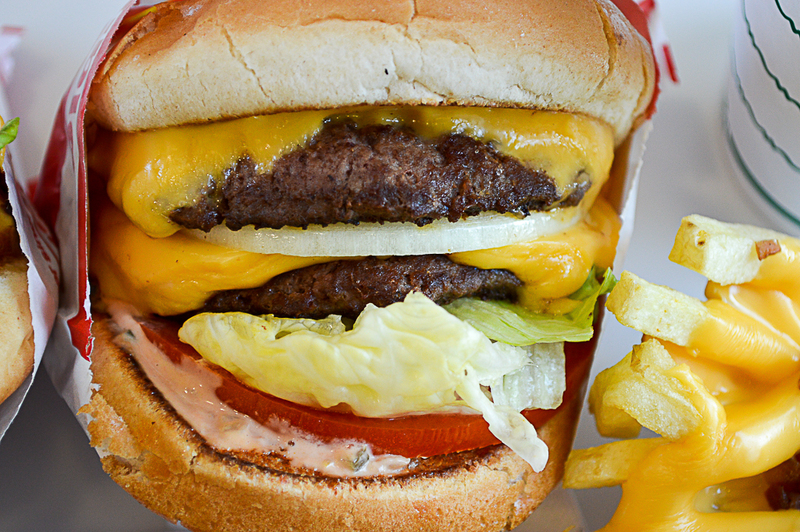 The Double-Double Cheeseburger is built with lettuce leaves, tomato and a mustard-cooked beef patty. 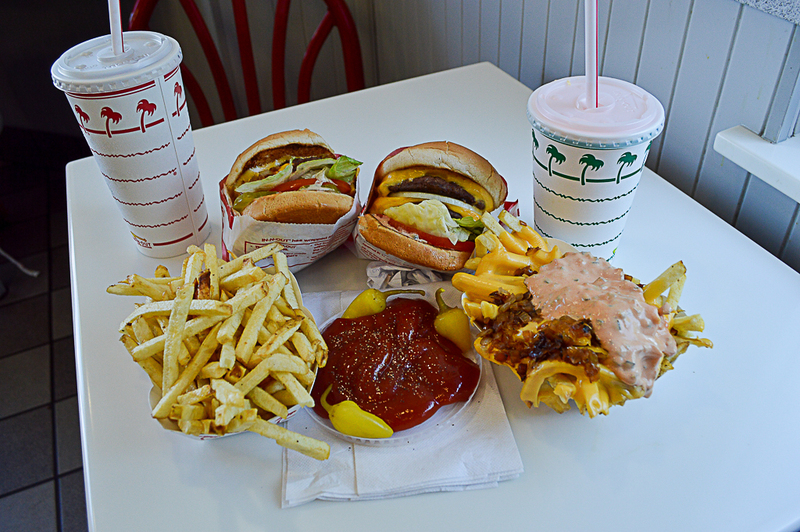 There is just something about this combination that keeps me coming back for more! 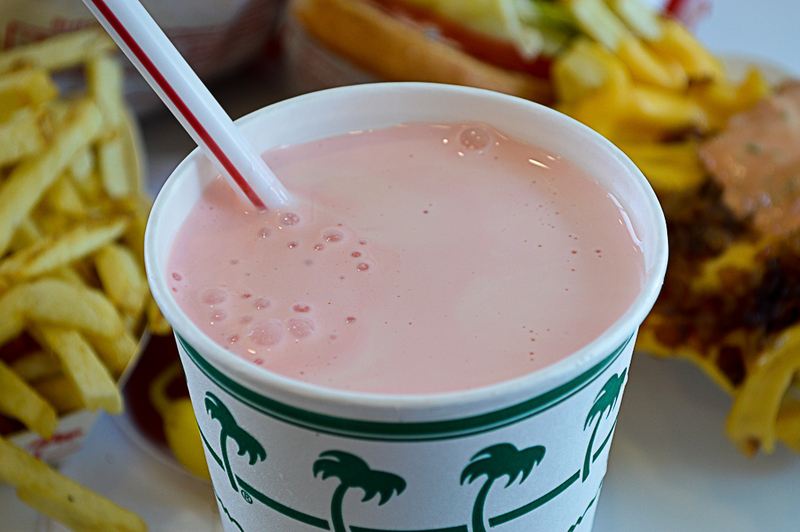 And, of course, no trip to In-N-Out is complete without a sweet Strawberry Milkshake. 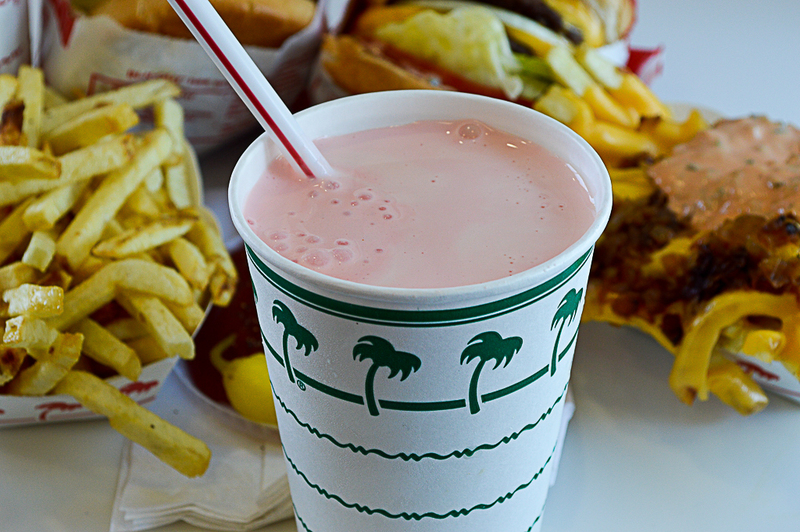 The milkshakes here are the perfect break from the desert heat and are always made with real ice-cream. They are also served in chocolate and vanilla… or you can order another off-the-menu item, “The Neopolitan”, which is layered with all three! 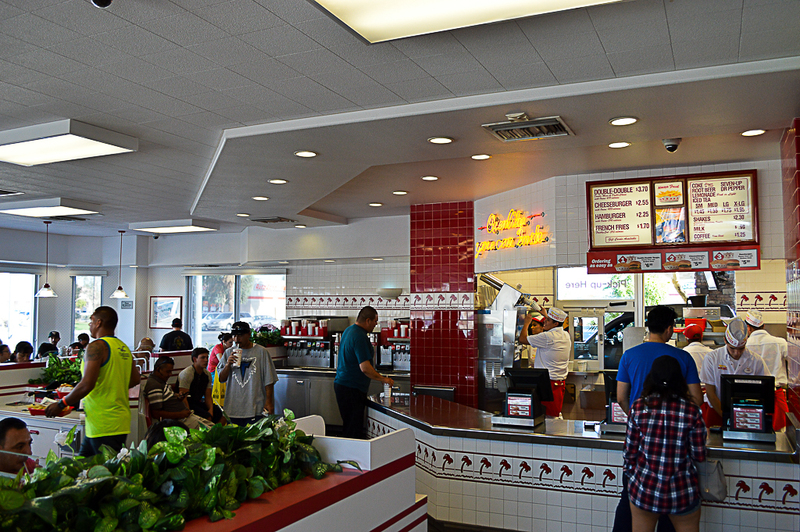 Well, another wonderful visit to my good friends at In-N-Out. 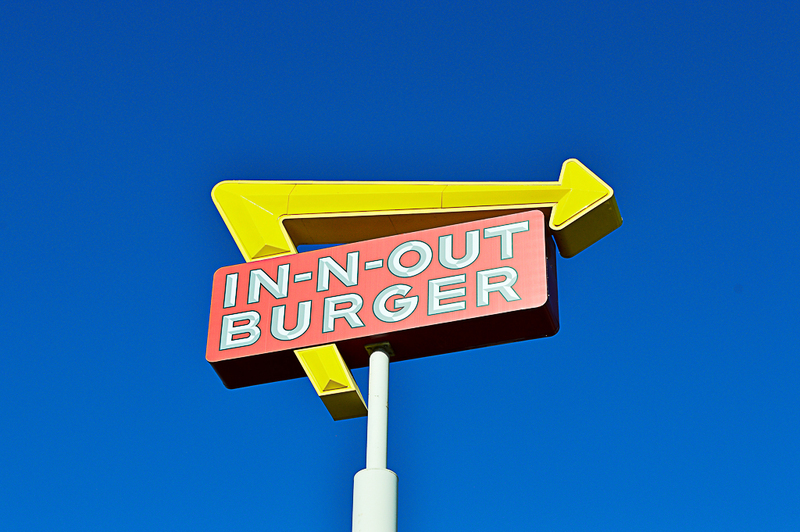 While there are other great burger joints in El Centro, I am always happy to meet my Ole Faithful on the horizon every time I return to San Diego! 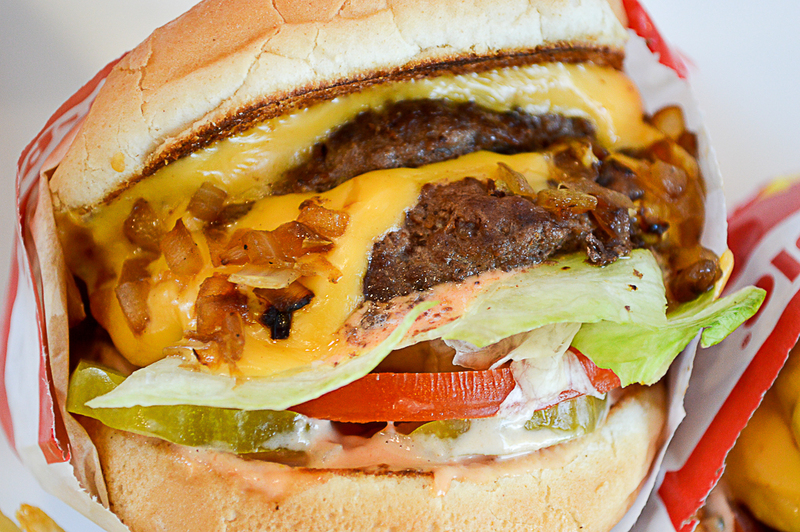 Double Cheesburger with hand-leafed lettuce, tomato, a mustard cooked beef patty; add pickle, extra spread with grilled onions.